Humanostics Group consists of the companies Humanostics, Humanostics Careers and Human Acceleration each servicing different areas which complement and reinforce each other. Get a quick overview of the expertise of the different companies from the overview to the right or visit the individual company pages below. Humanostics® is a management consulting company assisting companies and organisations in creating measurable results by focusing on their key resource: the people. Focus is on evaluating and measuring the talent and the competencies of the employees, leaders and the sales force. Humanostics Careers is a global partnership of experienced professionals providing high quality search & selection services. 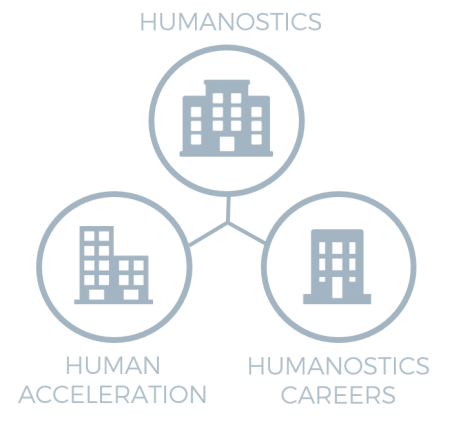 While ordinary recruitment can be done by using the assessment tools provided by Humanostics, Humanostics Careers focuses on recruitment for specialised and high quality needs. Human Acceleration is a consulting house. Human Acceleration provides consultancy services in a range of areas, including but not limited to : assessing organisational bench strength, empowering your leaders, engaging your teams, counselling in relation to M&A, post merger integrations, downsizing, or simply defining what it takes to make people thrive in your organisation. We help our clients create measurable results by focusing on their key resource: the people. Focus is on evaluating and measuring the potential and the competencies of the candidates, employees, managers and the sales force. Our Humanostics Associate Partners market and represent the PI assessment suite through their own businesses.